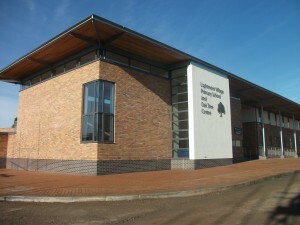 The Oak Tree Centre is a building at the heart of Lightmoor Village. Offering an excellent range of meeting rooms for hire, the centre has state of the art IT facilities, outstanding sport facilities and regular activities and events residents of the Village to take part in. In addition to its excellent facilities, the Centre also offers a wide range of adult learning classes in partnership with Telford College of Arts and Technology. The Oak Tree Centre is proud to be a UK Online Centre offering a dedicated full time tutor to guide those, including local residents, who wish to begin using computers and the internet. Click here to go to the Oak Tree Centre website to find out more.